Real Madrid will be looking to maintain their unbeaten status when they take on Las Palmas at the Santiago Bernabeu in La Liga on Saturday. Rafael Benitez’s men are one of only three teams in the top five European leagues yet to lose this season, alongside Bayern Munich and Paris Saint-Germain, and they will be confident of extending their unbeaten run at the weekend. Madrid have never lost a home game against Las Palmas, emerging victorious on 27 occasions and drawing the remaining four encounters. Additionally, they have scored in all league games at home against the Canary Islands outfit, averaging three and a half goals per game, and their joint-biggest margin of victory in La Liga came against Las Palmas; 10-1 in January 1959 (level with their 11-2 win over Elche in 1960). Madrid have now gone 19 La Liga games without defeat and they are yet to concede a first-half goal this season. This weekend’s encounter provides Cristiano Ronaldo with the opportunity to score in three La Liga games in succession for the first time since April, having found the net versus Levante and Celta Vigo. Benitez will likely have to make do without the services of Gareth Bale, Sergio Ramos and Dani Carvajal due to respective calf, shoulder and ankle injuries, but Karim Benzema and James Rodriguez seem set to make their comebacks. Meanwhile, Las Palmas head coach Quique Setien is adamant his team will not be pushovers at the Bernabeu. “Real Madrid allow teams to create chances against them,” Setien told reporters. Midfielder Nauzet Aleman, meanwhile, realises Las Palmas face a tough task at the Bernabeu, but he is hopeful they can get a positive result. 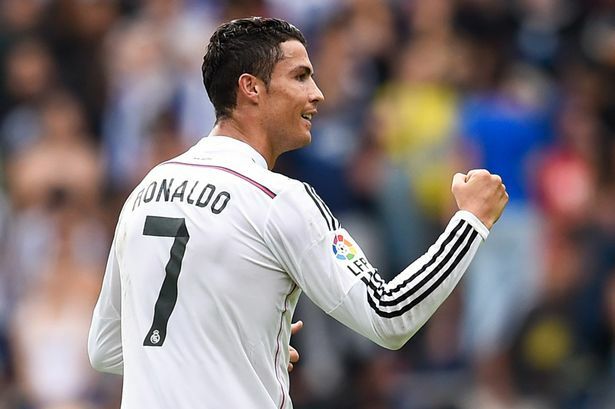 “Real Madrid are the most in-form team in the world at the moment, but we will give all we have,” he told reporters. Las Palmas will have to be at their best, though, if they are to get a result on Saturday. Dating back to their last top-flight appearance in 2001-02, they have now gone 14 La Liga away games without a victory, drawing five, while losing the other nine. Setien will have to make do without the services of Antolin Alcaraz and Angel Lopez due to injury, while Wakaso Mubarak has been left out of the squad, despite returning from suspension. Community Shield: Arsenal aim to claim more silverware against Blues.